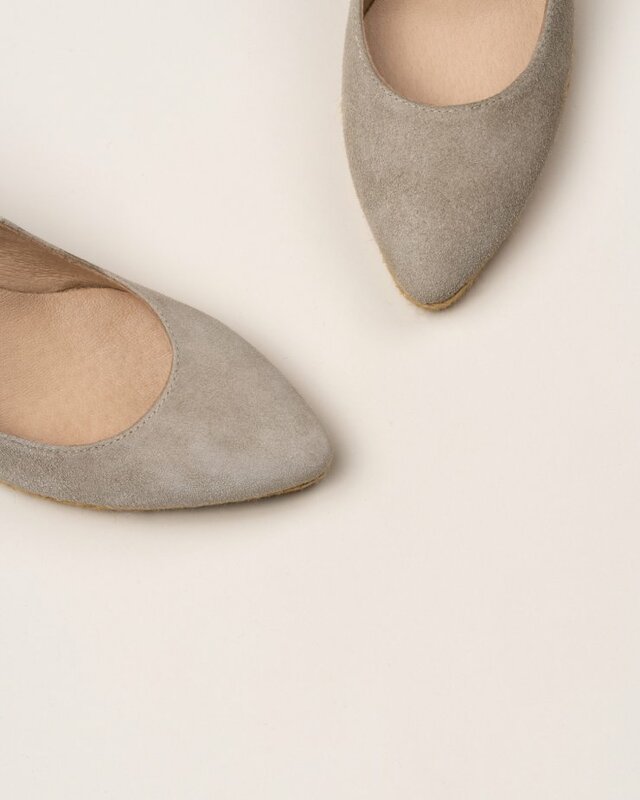 Stone beige suede espadrilles. Closed style. Wrap around tie at the ankle. Medium jute wedge.